I’ve been meaning to make this cake for ages, ever since a geeky recipe conversation with a close girlfriend. Are you a food geek? I am the geekiest of food geeks. To me, talking food has the same effect as a strong cup of coffee. It wakes me up in the loveliest kind of way. It puts me in a good mood. It’s just the best thing ever! You start explaining a recipe to me and I will feel bright and bushy-tailed immediately. How long did you whisk it? On what shelf in the oven? What exactly did it taste like? There can never be enough detail. I imagine it’s a bit like trainspotters feel when they listen to someone describing the Lionel Pennsylvania Flyer, wagon by wagon. Or like 10-year olds feel when they watch a Minecraft YouTuber. 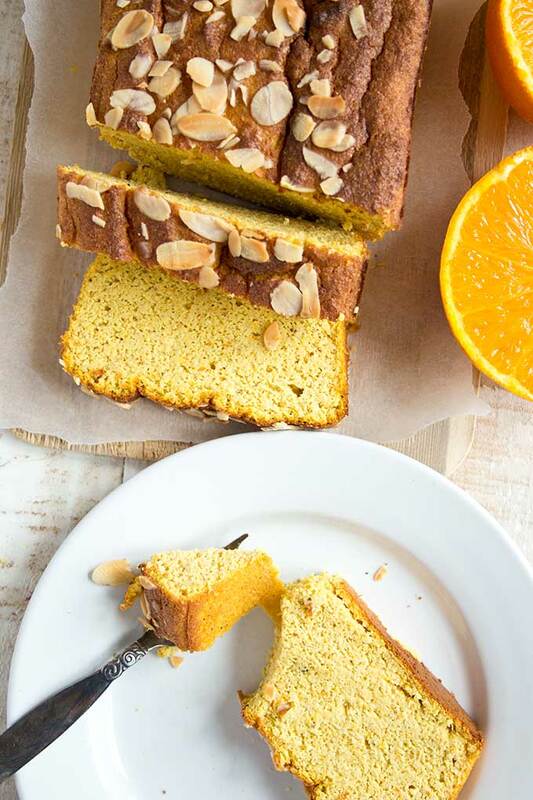 This orange almond breakfast cake, guys. It’s the bomb! The cool thing about this cake is that contains ALL of the orange, flesh and skin. You simply cook your oranges in water for 1 hour until they are nice and soft. This also makes the skin taste less bitter. Then you puree the whole orange until you have a fragrant, tasty pulp. You are literally using all of the fibre an orange has to offer, which slows the absorption of the sugar in the fruit. And you get all the taste. Oranges are relatively high in carbs – one fruit has around 12 net carbs due to the fructose content. But since we are only using 2 oranges for a cake that yields 12 good size slices the carb count per slice remains low at 4.4 net carbs. The origins of this type of orange cake are found in the Mediterranean, from Spain to Iran and possibly even further. There are countless recipe variations online. But the sugar, guys! 250, sometimes even 300 grams per cake. We can do better than that, right? 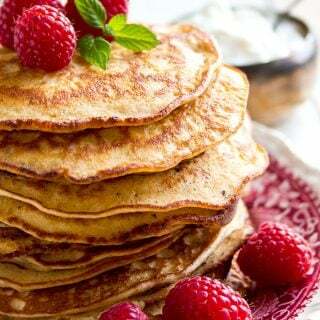 I don’t like my sweet dishes too sweet and have used only 16 drops of liquid vanilla stevia in this recipe. This amount is equivalent to 4 teaspoons of sugar. If you don’t have stevia, you can use xylitol or erythritol instead. One important thing to note is that oranges differ greatly, depending on variety and time of year. Some are very sweet, some less so. Some have thick skins, some have thin ones. 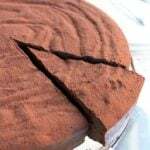 That’s why you should always taste the batter and adjust the sweetness if needed. My oranges were VERY sweet and had a surprisingly thin skin. A thick-skinned orange will result in a more bitter batter, therefore you might want to increase the sweetener to offset it. The other thing worth mentioning is separating your eggs and beating the egg whites until stiff peaks form. This might seem like a hassle, but it will result in a much lighter, fluffier cake texture. I’m actually doing this by hand with a whisk as I do not have a traditional mixer. Don’t attempt to whisk egg whites with a stick blender or in a food processor, by the way. I’ve tried. It does not work! 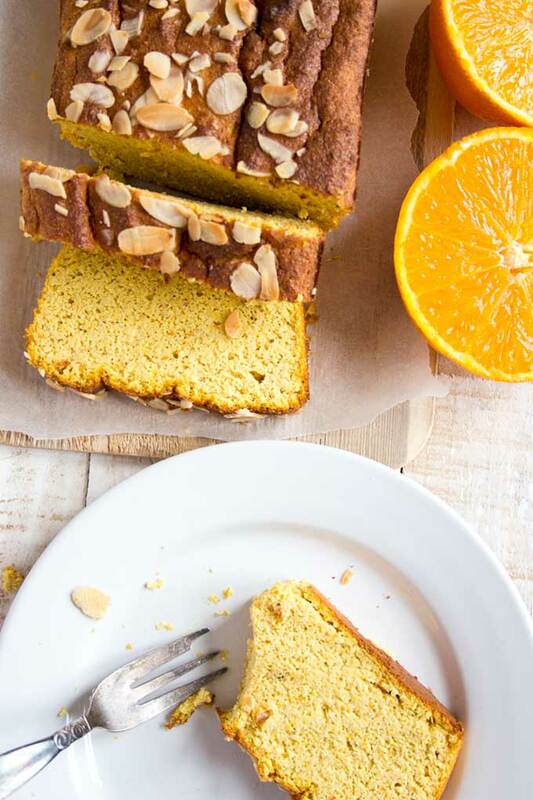 Nothing, NOTHING though should stop you from having your orange almond breakfast cake as a dessert. It certainly is perfect with a strong cup of coffee – any time of day. 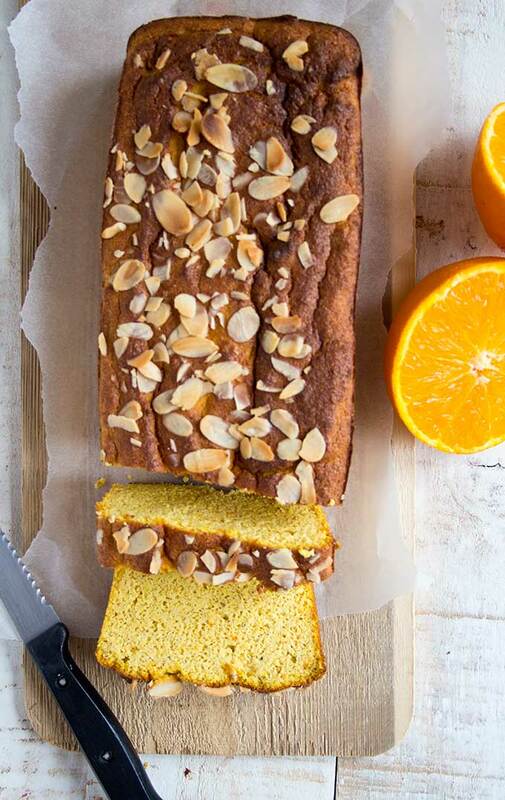 This moist and moreish orange almond breakfast cake is made with whole oranges - skins and all. 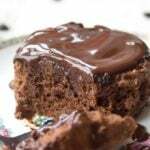 It is low carb, gluten free and sweetened with stevia. Preheat your oven to 180 Celsius/ 350 Fahrenheit. Line a rectangular bread baking tin with baking paper or use a well-greased silicone baking tin. Put the oranges into a pot filled with cold water and cover with a lid. Bring to the boil, then simmer for at least 1 hour. Make sure the oranges are always submerged. This removes the bitterness. Drain the water and let the oranges cool down. Cut the oranges in half and remove any seeds, then puree in a food processor or with a stick blender. Separate the eggs and whisk the egg whites until stiff peaks form. This will make the cake lighter in texture. I did it by hand - it's easier than you think. Just use a clean, dry metal bowl, an old-fashioned whisk plus a bit if perseverance. Add all ingredients except the egg whites to the orange pulp and mix. Lastly, fold in the egg whites until well-combined. Make sure you test your batter for sweetness and adjust to taste. Pour the batter into your cake tin and sprinkle flaked almonds on top. Bake for 50 minutes or until a knife inserted comes out clean. Oranges with thin skins work best for this recipe. 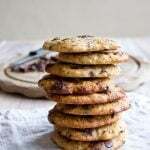 Can I use all purpose flour instead of almond flour? Because I can’t get almond flour here. I don’t know if you can substitute this 1:1 – it would be a bit of an experiment. My feeling is you would probably need less flour as it’s finer than almond flour. But if you can get hold of almonds, you could grind them up yourself it you have a food processor. 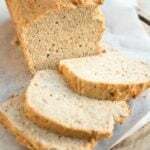 Almond meal/ground almonds work well in this recipe. This cake is very tempting, I came home with the orange essence and two oranges. Only to grab my almond flour, NONE LEFT! Will this recipe work with a coconut substitute? Oh I hate when that happens!!! When I substitute coconut flour for almond flour I start with around 1/3 of the amount stated for almond flour. Using 1 cup of coconut flour in this recipe should definitely be enough, maybe even only 3/4 cup plus 2 tbsp, if you oranges are on the small side. Coconut flour is so much more absorbent than almond flour. Add it to your dough and wait a couple of minutes so it can absorb the liquid. Then see if it has a goof consistency. I hope this helps! The orange cake turned out lovely! Thanks for all your recipes. 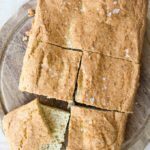 I am new to the sugar free diet and you are a recipe inspiration! 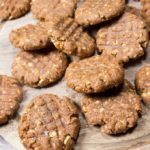 I do have a query, have you ever baked with walnut flour before? Perfect! That’s so good to hear. I haven’t baked with walnut flour, but I think it would behave the same as almond/hazelnut flour. It might be good to mix it with almond flour, for example. On its own it may have a strong taste. Are you making it by grinding walnuts in a food processor? This recipe looks yummy. Question… are the egg yolks part of the recipe or do I them aside for use elsewhere? I’m sorry this was not clear. You use the egg yolks when you mix all ingredients. The egg whites get whisked and then are added last. Happy baking! This is one of my fave recipes. Absolute winner! We didn’t have any cardommom seeds so just added some mixed spice which was lovely. Served up with some fresh strawberries and cream, and a cup of rosehip and hibiscus tea it’s hard to beat! We made our first cake last week and are already on to our second bake. Thanks! Any idea what I did wrong? I 1.5x the recipe but otherwise followed to a tee. I baked in a bundt pan and it turned out really fluffy, dry and a bit grainy. Not unpleasant, but not anywhere close to the other boiled orange/almond cake recipes I’ve made with sugar that are dense and rich. I’m guessing it must be the whipped egg whites? What a shame it did not turn out well! It’s always hard to say what it was when you weren’t there. Maybe it had something to do with the size of the oranges (i.e. small = not enough wet ingredients)? Or with the baking time or temperature (too long-too hot)? If you feel the beaten egg whites don’t work for you, you could always leave out that step. That would definitely make for a denser cake. I love this cake – I made it without the cardamom (I forgot) but still beautiful. I also improvised one chilly morning – crumbled a piece in a bowl, put a little hot water over it and a good slosh of cream. Mushed it up and it became a wonderful breakfast porridge. Perfect for that warm cereal moment. Love this recipe – I used clementines, and maple syrup because I didn’t have stevia. I’m making it for the second time because my husband has declared it his new favourite cake! Hi there ! Recipe looks great – making it tonight and I have gone all out and bought almond flour. Does this change anything? 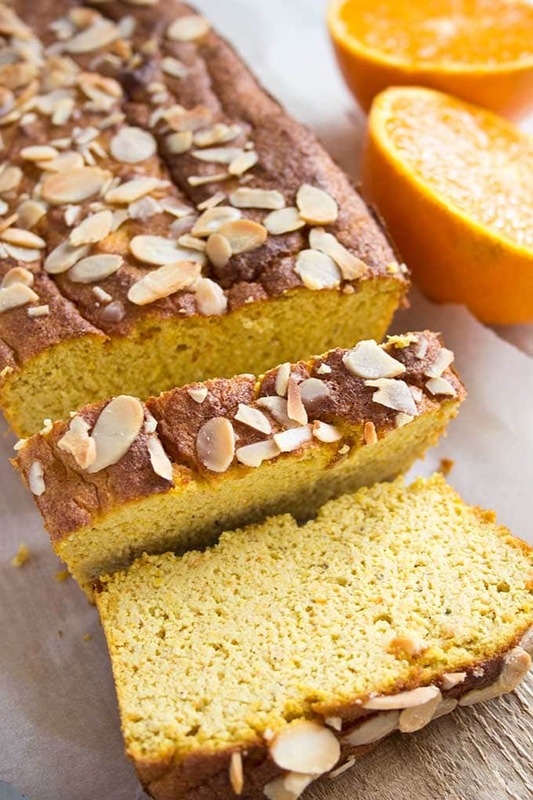 It really depends on what kind of almond flour it is – and how large or small your oranges are! 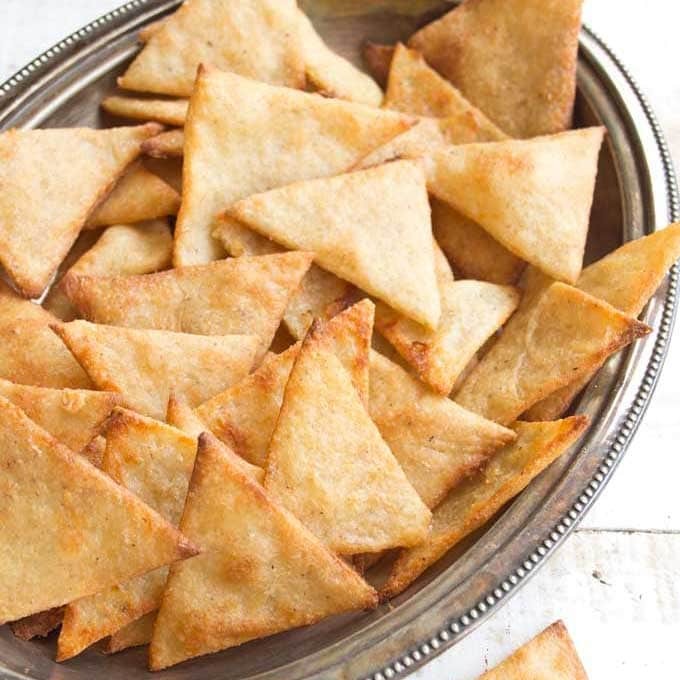 If you have defatted almond flour, it is the super-fine kind. In this case, you could try using a bit less and see how the batter looks and tastes. I love the idea of using Clementines, they will be in the stores soon here. Since they are smaller, how many would I need for this recipe? I made this yesterday and it came out beautifully, so moist and flavoursome! The only change I made was to the type of sweetener (I used some Splenda) and it tasted lovely – not too sweet at all which is what I like. 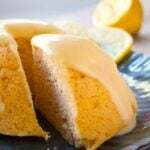 When my husband tried it he also loved it and so we had some for dessert and at his suggestion I knocked up some buttercream icing (cream cheese, butter, sweetener) flavoured with some vanilla and orange extracts and spread this over the top and it was lush. Wow Fiona, using buttercream icing on top sound amazing! Great idea. Thank you so much for your comment! I am surprised there is no butter or oil added to the cake. Just checking that it’s not accidentally left out of the recipe. It’s always good to double-check – I did make it without butter or oil. It does not need it. Maybe that’s because the almonds have a lot of fat in them already. I would be interested to see how the cake would taste with a bit of butter added though, it might taste quite good! How much cardamon powder instead? Made this today and my husband (who is T1 diabetic) loved it! Made this cake yesterday and it is lovely. Light and moist and fragrant. I cut 16 slim slices and have had to freeze them otherwise I would eat the lot! Thank you for the recipe, I’m wondering if it would work with lemons too? I am sure it would. You might have to add some more sweetener to cut through the tartness. Or try a mix of lemon and orange? I want to make it with clementines next. Haha, you made me smile. I know that feeling!!!! That sounds about right, maybe 8 larger or 12 smaller ones. You might need to decrease the baking time. Great to get some new ideas. 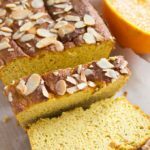 I would have never thought you could use the entire orange in a cake! 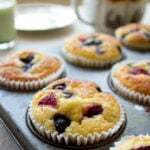 I have tried your grab and go muffins and really like them. I’ll definitely have a go at this one. 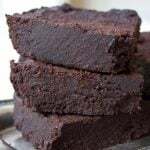 Thanks for posting another delicious sugar free recipe. You really are an inspiration. I am a type 2 diabetic and check your site regularly. Jane, that’s so good to hear. Thank you for your support!